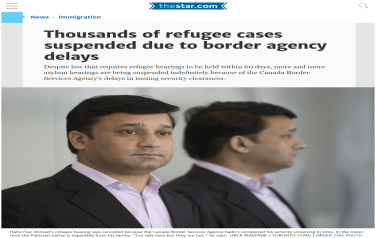 Issue: In this rare case, the government brought Mr. Gondara to the Immigration and Refugee Board to take away his refugee status 12 years after he was accepted as a refugee and even after he became a Canadian citizen. The government lost but appealed to the Federal Court. In this decision the government lost again and Mr. Gondara was able to keep his refugee status and his Canadian citizenship.